For this recipe you will need a big loaf of bread. We like to use a french or italian type of bread, instead of a sourdough, just because the flavor of the bread is more “neutral” and lets the rest of the ingredients shine. Cut several slices of bread and grill them. 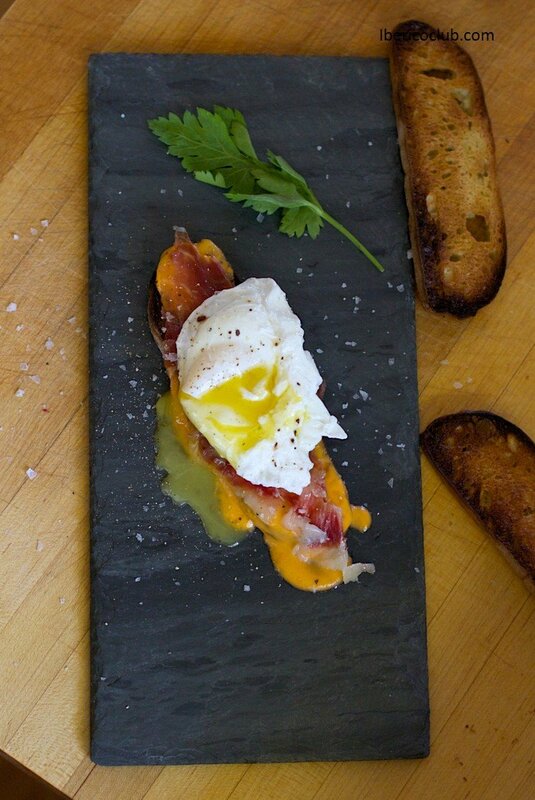 You will need to make a good salmorejo to spread on the base of the toast. 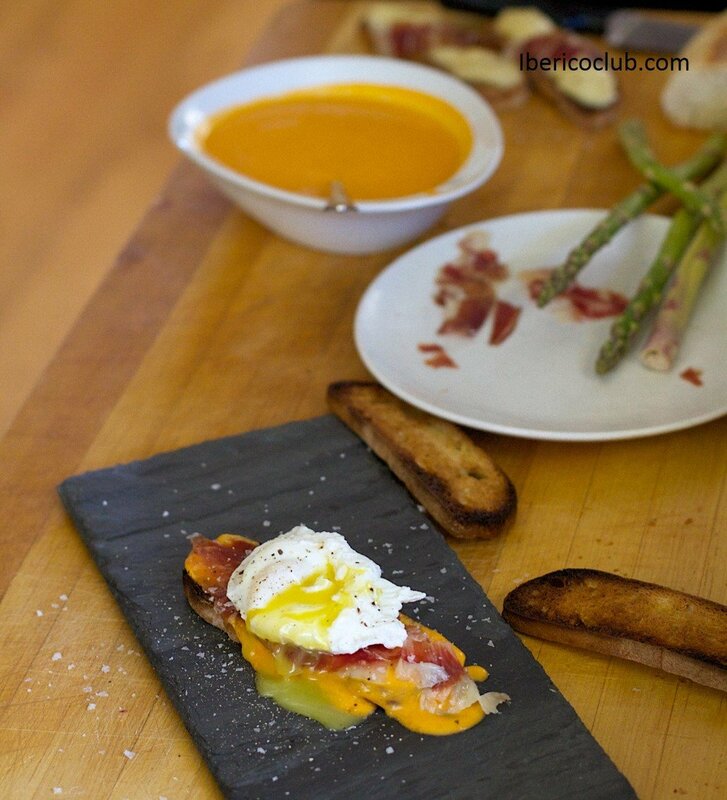 Find here the recipe of the best salmorejo you’ll ever try. 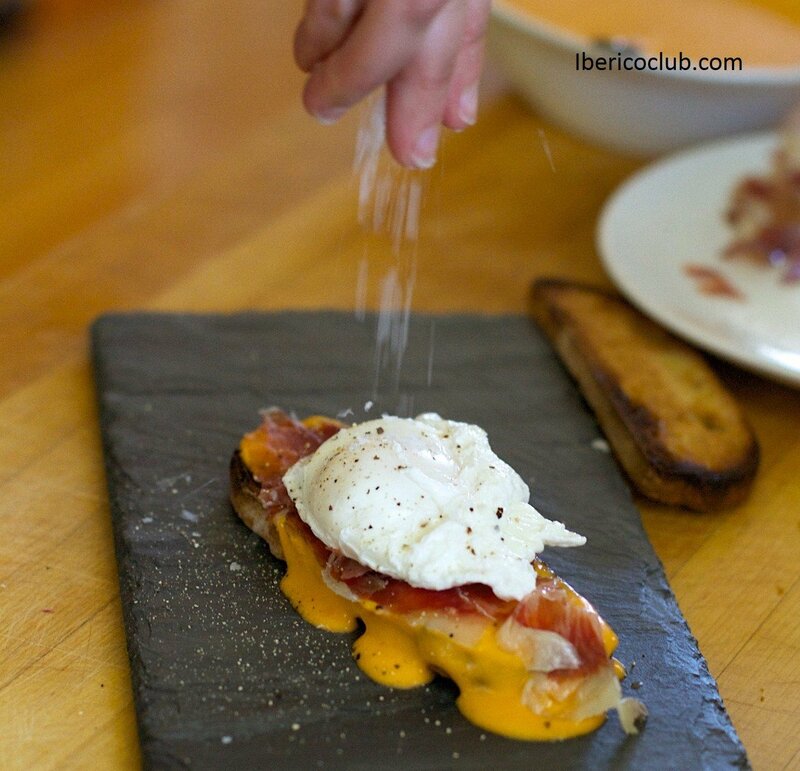 Once you have spread the salmorejo on the toast, you’ll need to carve some thin slices of the finest acorn fed Ibérico ham you can find and place them over the toast. 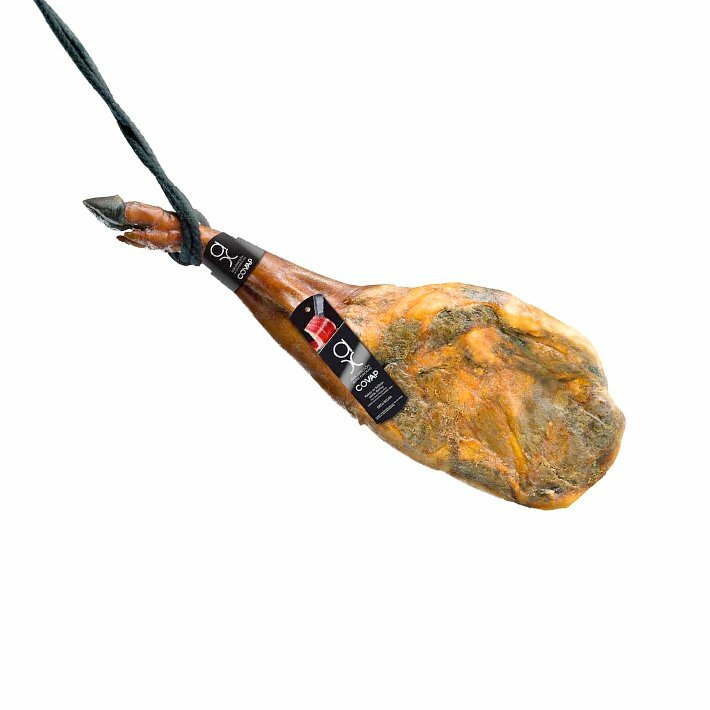 TIP: go to Ibérico Club and get the finest Pata Negra delivered to your door. 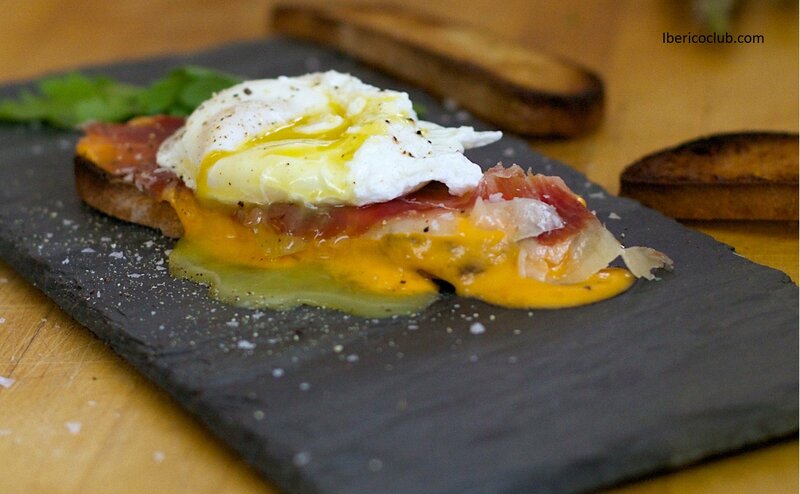 Finally, make a poached egg and put it over the Jamón Ibérico de Bellota. Add some salt in flakes and ground pepper. Serve it right away! 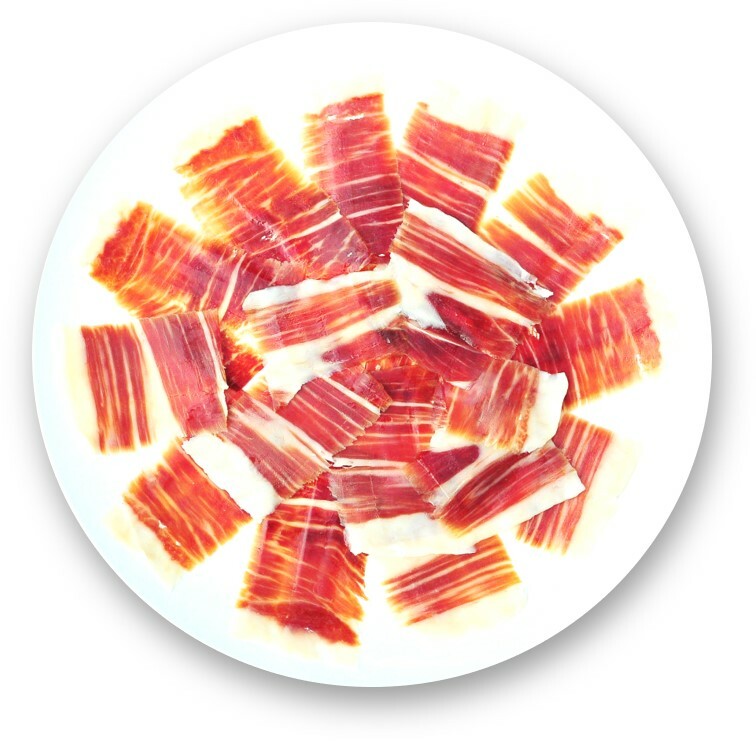 It’s such a juicy, tender, crunchy, tasty “tapa”, that everyone will go crazy for it. Be ready to prepare more! 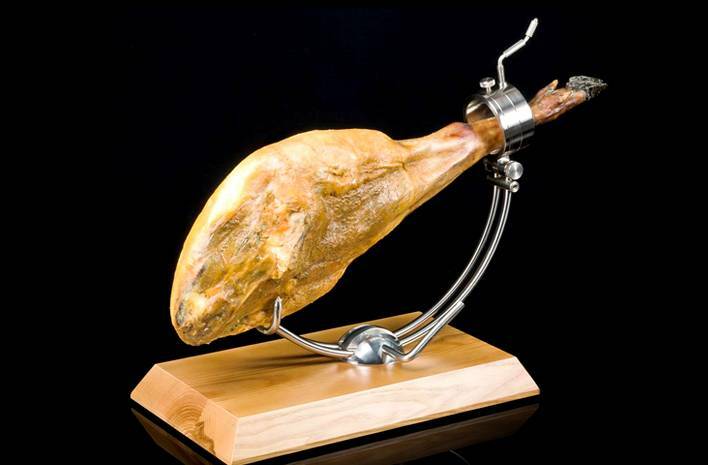 And remember to visit us here to get the tastiest cured meat in the world, Jamón Ibérico de Bellota. Hi Melissa! Thanks for reaching out. The post itself is the recipe. There is also a link to the “Salmorejo” recipe. Enjoy! We served this dish for Thanksgiving morning breakfast. Even my picky nephews licked their plates. Then we turned the leftover sauce into tomato soup by adding a can of crushed tomatoes, a dash of smoked paprika, and a bit of light cream. It was quite the perfect companion to a grilled cheese sandwich.